RAVENOL WATERCRAFT 2T Semi Synth is a semi-synthetic 2-stroke oil, formulated with high quality base oils and an ashless additive package for optimal lubricity and high levels of corrosion protection. Meets the requirements of, and is approved by, the National Marine Manufacturers Association NMMA TC-W3® (Yamaha CE 50S, Mercury). Coloured blue for easy identification. 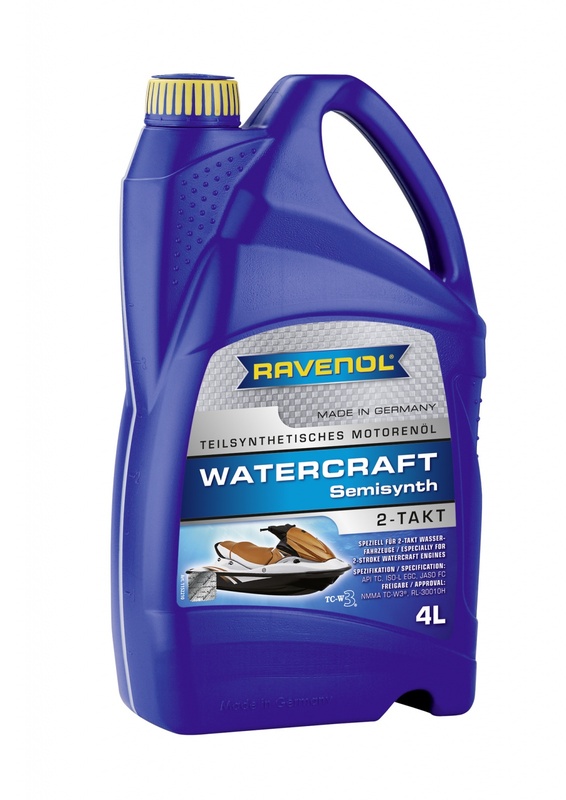 RAVENOL WATERCRAFT 2T Semi Synth is particularly suitable for the lubrication of air-and water-cooled 2-stroke petrol marine engines subject to high speeds and heavy loads. Recommended where TC-W3 specification fluids are required in all outboard engines according to the prescribed mixing ratio from the engine manufacturer. Suitable for use in engines operating in both fresh and sea water environments. Typical mixing ratio 1:100, but please follow the engine manufacturer's recommendations.